Coolum Carpet Cleaning is the only choice if you want to extend the life of your carpets. Regency counts many Coolum homeowners who call us first to provide them with clean and hygienic carpets for the whole family to enjoy. We are fully insured and take great care of your property at all times. 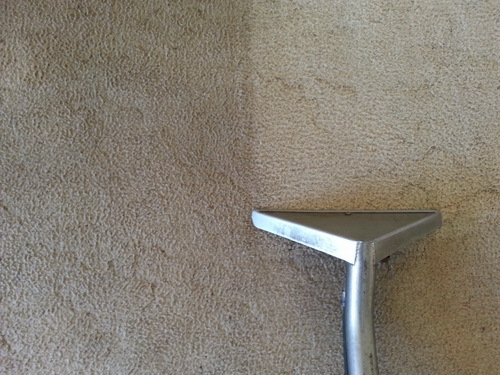 With many years of specialist experience we know what works best in Coolum Carpet Cleaning. Our extensive and well maintained equipment means that we are perfectly placed to be trusted with your carpets. The major benefits of our Coolum Carpet Cleaning service are that they increase the useful life of your carpets. They will also remove built up soil and dust that accumulates on dry carpet over time. Furthermore by eliminating smells and bacteria it slows down the decomposition of your carpets. Coolum Upholstery Cleaning is a vital aspect of proper maintenance for your furniture. Upholstered furniture is prone to staining and accumulating dirt. You can’t just wipe it down like you would ordinarily do with hard surfaces. A vacuum cleaner won’t remove the deep grime that can stain your fabric either. If you try and wash this kind of furniture with liquid it can soak into the stuffing, making it harder to dry encouraging the growth of mildew. By keeping the upholstery clean you can reduce wear and tear. When dirt granules work into the fabric, they can cause friction that is more likely to thin fibre threads and create worn patches and tears. Don’t risk cleaning your upholstery yourself and possibly causing damage, call a professional with experience in Coolum upholstery cleaning. We can provide all of this as part of a car upholstery service too. Coolum Stain Removal is essential for families. The quicker we get to the stain and treat it professionally the better the chance of leaving no trace. Whether you have spilt some wine on the carpet or something even more challenging you can count on us to remove the stain. With specialist environmentally friendly products and years of experience in stain removal, your home is in safe hands. Coolum Tile and Grout Cleaning is a necessary service to protect the look and extend the life of your tiled surfaces. We take great care to clean your tiles and grout lines and restore them to how they looked when they were laid. Regular cleaning of tiles and grout lines in wet areas is crucial to prevent problems down the road. As grout lines accumulate enormous amounts of dirt and grime, cleaning this part of your home will often given the greatest return on your cleaning budget. It will also make your home much more hygienic and safe for your family. Coolum Flood Restoration is a specialist service performed by Regency. Whether your whole home is or was underwater or perhaps just a leak in one area call us to sort it out. We can provide the necessary expertise to restore your home to its original state. In times of great need, contact us to advise on what is the best path forward to help to restore your property after flooding. If we can be of any assistance with your Coolum Carpet Cleaning or any of the above services, please don’t hesitate to call us on 0424 854 951 or contact us.